We offer a comprehensive range of best books and E-learning technologies; so we can be an effective element in your child learning success. We at Dar Al-Manhal make your child a reader in childhood, through producing cultural programs, educational contents, and high level projects that are enriching his knowledge, and expanding his horizon. Dar Al-Manhal aims to help you develop your child by offering the widest collection of kindergarten and school books, which are created by experts to help learners achieve specific academic or occupational goals. All you need is to browse our library of books to find an engaging book for your child. 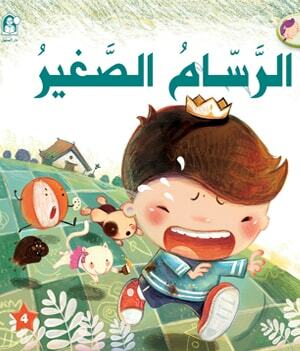 Reading is a world of pleasure and knowledge enrichment, therefore; we offer a comprehensive and successful range of stories that are specialized in children’s literature in different languages (Arabic, English and even French). Our stories develop the child's love for daily reading habit and direct him to acquire the correct habits and values. We also provide stories packages which contain various picked short stories from our great editions. These packages are divided into levels according to the age group. Whether you’re looking for a book to share with your youngest child or something to keep your ten year old motivated, we’re here to help. Are you looking for a great reading experience? Do you want to build your online library? Simply, you are in the right place! We are going strong in our mission to provide a valuable service to help you make the best use of studying time, therefore; Dar Al-Manhal becomes a central place to discover E-books. It provides one of the best reading tools, so reading stories or studying will be more efficient. You can browse any of our editions right on your smart phone or tablet, so your favorite books or stories can be read on computers or other electronic devices. With us reading is a pleasure, and learning becomes easier! In addition to, we provide a simple way to create electronic books, using our quick and easy online book creator. No programming knowledge is required; we offer powerful tools that could help you make your own electronic book without the need to write a single code, you will already know how to create a book. 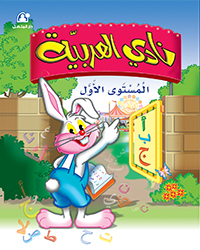 Dar Al-Manhal provides a good collection of electronic stories for the young minds using the great combination of graphics, narration, sound effects and background music, children are attracted to. When a story is being read or narrated by a person, there is always the risk of the child losing interest at some point. With our great electronic stories it is a totally different scenario. Children get glued to it and will surely watch it to the end. What sounds more fun: homework or games? Want educational games that help build skills and educate students? You are in the right place at the right time! Our passion is helping teachers and students to find fun and meaningful ways to integrate technology with learning. We are working hardly to provide the suitable environment for that! Educational games are great tools for building foundation to learn and develop skills that today’s school curriculum require. We offer amazing online learning games for children that are fun and teach important skills for preschool, elementary school and even secondary school. Try our educational games and combine lesson time with playtime. These colorful, animated games make it easy and fun to practice fundamental math, reading skills, language, science, and more at home or on the go. Choose from educational games that use colorful animations and music to bring important lessons to life and aid memory. No matter where you are or what device you are on; just enjoy our online games which are available for Android devices, iPhone, mobile, tablets, iPad and PC. We believe that games have the potential to help children learn in a way that's not possible with other, therefore; we offer a brilliant virtual world for students, to study without getting bored and allow them to learn wherever and whenever they want. We want you to love learning - no more boring study sessions, you should play games instead! 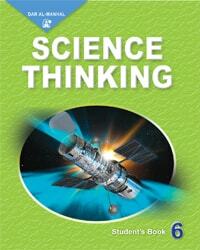 We at Dar Al-Manhal are constantly expanding our products range to reflect the needs of today's education process. We help you discover and develop your children's abilities in modern and innovative ways by offering a wide range of great educational tools to improve children's mental and linguistic skills. Our educational tools are represented as eye catching flash cards, powerful audio versions, and rich educational posters. Teaching and learning have never been more efficient or easier than with our educational flash cards. 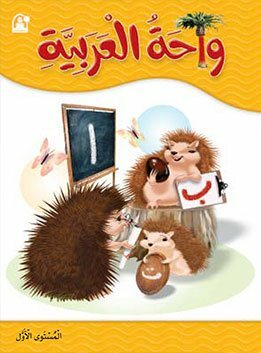 Dar Al-Manhal is dedicated to bring the best selection of unique educational flash cards in both Arabic and English. 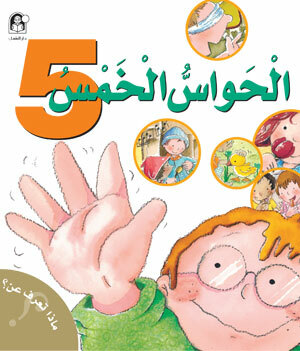 Audio versions issued by Dar Al-Manhal are considered as a special achievement which helps to teach children listening skills that come before reading and writing in learning skills. It also includes beautiful stories, wonderful melodic songs, performed by group of children with beautiful voices, which give them an educational dimension, and contribute to improve reading and pronunciation. 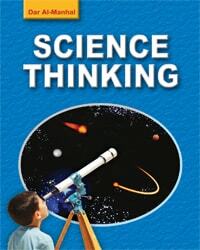 In addition to, we provide amazing educational classroom posters to create a unique teaching environment filled with visual cues for the students. 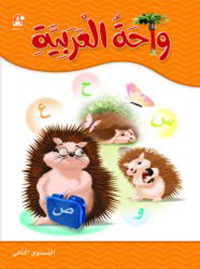 A series of curriculum multimedia CDs in Arabic and English are also available. The series is professionally designed to easily use by children. Our content is developed with the aid of experts who understand the realities of classroom teaching, so we can create visually stimulating products that add real value to the classroom. There is no doubt that the technical development plays a huge role in our daily lives, especially in developing skills and capacities of our children. But how can our children take the whole benefit of this great technical development in an easy and fun way? How it helps them to develop their abilities and acquire new skills? That’s why we have the challenge to turn our thoughts and ideas into real applications. Our vision is to be the source for childhood learning on the internet available from anywhere. 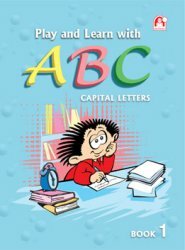 We are dedicating to fun and online learning on the internet for children from all ages through offering the best interactive stories applications and attractive games applications. Building you the best educational apps possible is critical and so is the process it takes to get there. That’s where we come in. We are driven by a simple goal; deliver high quality software, and ensure it runs smoothly, strategically, and predictably. Our passion and creativity come together to bring out awesome stories and games applications to life, so we serve the educational process and the development of children's skills, the result is, learn and fun with awesome interactive content and graphics. Our highly experienced team transforms apps into experiences for a wide range of connected devices you hold in your hand, wear on your wrist, and use in your home and car weather they are iOS, Android or web. Dar Al-Manhal seeks to be pioneer in all what is concerning with children, and giving them the best. Being the exclusive agent for Edu Fun - an international brand specialized in preschools supplies and furniture - is our way to reach our goal. The environment children play and learn in, have a great effect on them. Therefore we believe in the importance of providing practical, suitable and comfortable designs to fulfill the demands of this critical stage. We provide a complete solution for preschool education and homes, so you can find a full range of furniture which suits the requirements of children in their early years. Modular designs, elegance, and accurate manufacturing all come together to set up unique configurations to suit children needs. The colorful, attractive and durable designs encourage good posture and ensure years of safe and enjoyable use, this means that everything will last for years and years and can be even passed on from one generation to the next. All this we offer at affordable and compatible prices. Edu Fun provides us with full range of products starting with chairs, tables, storage units and reading corners passing through play corners and role play furniture ending with play screens, boards and carpets. If you have any questions about any item, there will always be someone ready and willing to get you the assistance you need. Your complete satisfaction is always our number one priority. Short stories are adventurous and interesting ways to teach your children about good morals and right conduct. As children, they are at their formative years; that’s why they need to be educated with good values to make them good fit for society and family. Therefore we let your children go through a host of fascinating stories and fill their bookshelf with endless possibilities of interesting stories. With Us, Children Read Stories They'll Always Remember! Be the first to get the latest company events and other stuff. Casablanca International Book Fair is one of the momentous cultural forums in its various literary and intellectual orientations thanks to the participating authers, cartoonists, artists, publishers not to mention the wide audience. Riyadh International Book Fair is one of the biggest cultural festivals. It's visited by over a million visitors each year who are interested in buying books and attending seminars involving many intellectuals. Muscat International Book Fair is a prominent cultural and intellectual platform exibiting the latest and most valuable publications in a book-loving environment. 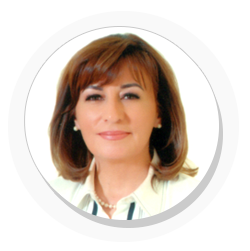 Country Manager – Macmillan Education, Jordan. 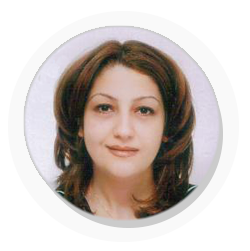 المنهل تاريخ طويل في نشر الثقافة بالمصادر المتنوعة بجودة عالية. 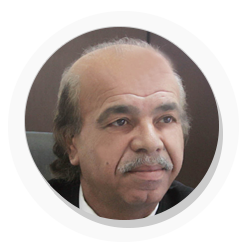 المنهل عالم يحتضن الطفولة والمبدعين للطفولة. At Dar Al-Manhal we are always looking for the added value in potential partnerships with like –minded organizations with a commitment to quality and making a positive difference to the lives of others. We have built strong partner relationships with major companies in order to bring the right solution to the right place at the right time for the customers.